Join us on our Blue Mountains Beginner Ladies Golf Tuition Long Weekend, fully hosted by Swing Fit and Golf Australia Community Golf Instructor Andrea McGann. Andrea’s focus will be on ensuring you have fun on the golf course and increasing your confidence while playing, regardless of your ability. The emphasis on our Beginner Ladies Golf Tuition Weekends is on having fun, improving our golf, meeting other lady golfers and having a relaxing time. 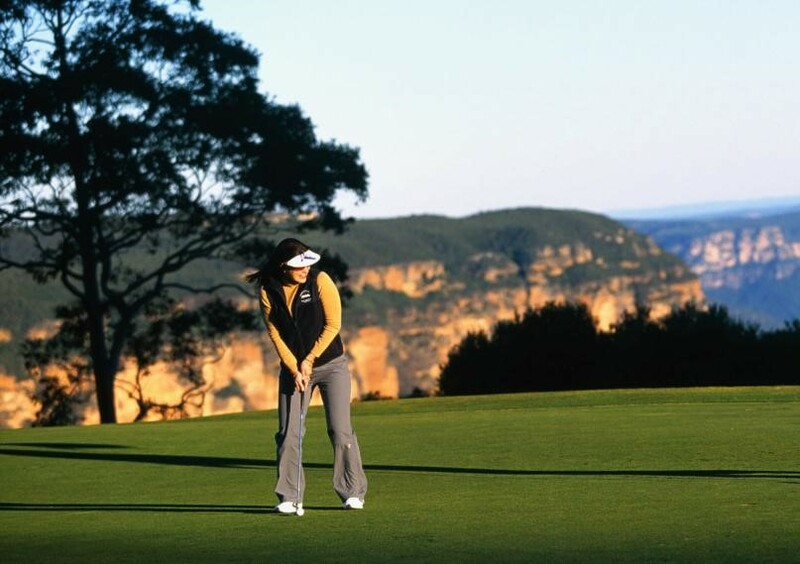 On this Blue Mountains Beginner Ladies Golf Tuition Long Weekend you’ll stay at the Fairmont Resort & Spa Blue Mountains, located on the edge of the Jamison Valley. 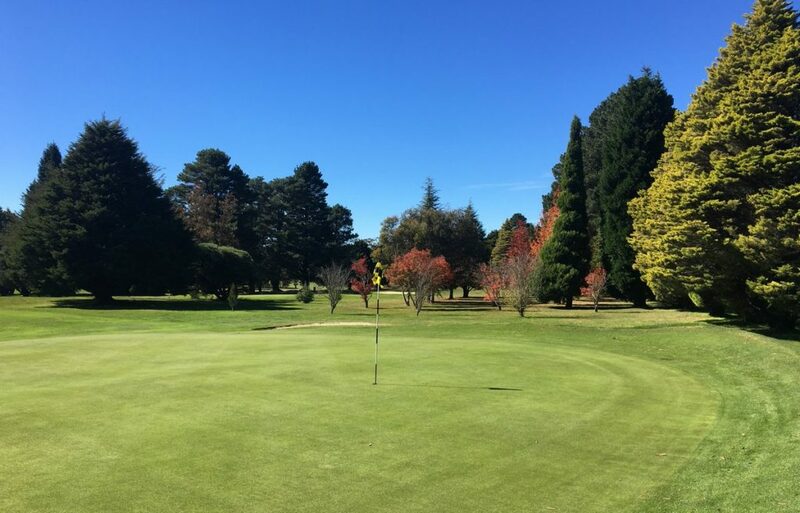 You’ll play 3 rounds of 9 hole golf at Blackheath Country Club, Leura Golf Club and Wentworth Falls Golf Club. Andrea will “float” between the golf groups as you play, offering tips and on course tuition to improve your game. There will be plenty of time when you are off the golf course to enjoy the World Heritage-listed Blue Mountains. Enjoy day spa treatments, bush walks through national parks, sunset drinks, shopping at mountain villages, meals at lovely restaurants, and wine. There’ll definitely be wine on this Blue Mountains Beginner Ladies Golf Tuition Long Weekend! Community Golf Instructor Andrea McGann, having a hit, followed by a couple of drinks in the clubhouse afterwards. Come join us for a fun Blue Mountains Beginner Ladies Golf Tuition Long Weekend!